TUESDAY: Unsurprisingly, Sandoval has officially rejected his qualifying offer, tweets Ken Rosenthal of FOX Sports (Twitter link). MONDAY: The Giants have officially extended a one-year, $15.3MM qualifying offer to third baseman Pablo Sandoval. He’ll have a week to accept or decline the offer, though as one of the top free agents on this year’s market, he will assuredly be declining the offer. The 28-year-old Sandoval hit .279/.324/.415 during the regular season and followed it up with a strong postseason performance. His youth, combined with plus defense at third base and a solid offensive track record will make him among the offseason’s most desirable bats. If he isn’t retained by the Giants, they’ll get a draft pick at the end of next year’s first round as compensation. Sandoval joins a growing list of players to receive qualifying offers, all of whom can be followed in MLBTR’s Free Agent Tracker. Not trying to be funny here, but is there standard verbiage in baseball contracts stating a minimum level of maintaining proper health and wellness? …or is that handled by the insurance policy that hedges that contract? Probably should ask Bartolo Colon or his agent. I think that’s something that can be written in, but I don’t believe it’s a standard inclusion. You can include language to that effect, but the problem is that the player is likely to just go sign with another team that wants him bad enough to sign him with no added weight clause or anything like that. 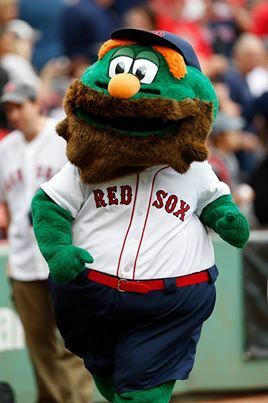 Is it just me that thinks Sandoval is going to get way overpaid by someone this winter? Good player, sure, but hasnt OPS’ed over .800 for three years now, he doesnt hit tons of homers, his OBP is nothing to write home about and defensively hes around as average as they come, his dWAR floating just over or under replacement level. I repeat, good player, but thats it, yet many are predicting $100m+ for this guy, i just dont see the value in that at all. You’re joking about the defense right? He’s probably winning the GG this year. You have to look at it from the outside and not as a Giants fan. Look at the metrics and you will see his defense isn’t very good. Edit: Also I think GG get was too much value by people. I mean Vernon Wells won it 3 straight years in 04-06 and his defensive stats were not all too good at all. I watched him make some of the more difficult plays at 3B than I saw from anyone not named Arenado this season. His arm is above average and so is his range. He’s quite nimble for such a big panda. 1 or 2 plays, played well, do not make someone a great defender. The numbers know more than your eyes do. Even the worst can make a good play. He has average range and isn’t more than an average fielder. Ha. you watched 1 or 2 plays? It was obviously in reference to you, smart guy. Im curious … whom do you consider to be the moslt elite defensive 3rd baseman? Chase Headley or Josh Donaldson. Todd Frazier if you are looking for an NL player. Headley .975 fpct over 1082 innings, 8 errors. Sandoval .971 fpct. over 1265 innings, 11 errors. Donaldson .952 fpct over 1320 innings, 23 errors. Frazier .970 fpct over 1046 innings, 9 errors. Have you even heard of UZR? You do realise you can only make errors on balls you can get to? Fielding Percentage is a TERRIBLE way of evaluating fielding value and performance. UZR us great but what about how sure handed you are with what you can get to. I could be here all night. I cant debate with this. Sandoval is great. You’ll hate on him til the day he retires. 2012 NEVER FORGET. See this is what people do when they are losing an argument. No body is a Pablo hater. He is a fine player, but he is in no way, the best fielder at 3B nor is he the best hitter there. I didn’t say he was the best, man. I said he above average. his arm has alot to do with that. the guy nails out runners from his knees at deep 3rd. He has great hands. You said he is probably winning the GG, which to most people would lead them to believe you think he is the best at 3B. That’s the purpose of that award after all and he is not an above average fielder, but that doesn’t make me a “hater” for saying so. Numbers don’t lie. I said he may win a GG because he is a finalist in the GG running. It’s not an opinion. almost certainly; as far as one knows or can tell. The error that allows the runner to get on, is the exact same thing as the runner getting on, because someone can’t get there to field it. Difference is the error only happens 23 times all year, but plenty more than 23 balls will get passed the guy who can’t field it. I wouldnt bother, youll bang your head against a brick wall. When the other side is using Fielding %age as a way to measure, you know you are facing a losing battle. Haha, Yea, you make a good point. It is kind of useless at this point. Good luck with your Tigers this offseason, man. It probably helps you sleep at night knowing how average Pablo is after he clobbered three home runs against your team in the 2012 WS and was named series MVP. I love average!! You know 3B isn’t a UZR position right? Neither is 1B. The only positions that are important when discussing UZR are CF, SS, and 2B. All the other positions you just need to be average to above average defensively. Are you going to tell me you would rather have Alex Gordon over Giancarlo Stanton? What comprises “a UZR position”…? What are you talking about? Catcher is the only position where UZR and DRS are essentially always useless, and that’s because a catcher’s job is blocking balls, calling a game, throwing out baserunners, and framing, all things UZR won’t account for. UZR position= 2B, SS and CF because that’s where most balls are hit. Other positions you don’t need fielder-bible caliber defense. Do you need an excellent defender where most balls aren’t hit? It’s no coincidence Andrelton Simmons and Lorenzo Cain are playing where they are. I would prefer each one of my defenders to be as good as they possibly can. I’m never in the business of surrendering runs..
Well, good luck finding UZR leaders at each one of your positions who have the bat to back it up. Royals saved a bunch of runs on defense, but they barely scored enough runs to make it the playoffs. Field a team with high UZR players with no bats, and they won’t score enough runs. Four of the top nine UZR leaders in MLB – third basemen Chase Headley and Josh Donaldson, both of whom are above average to good/great hitters, and corner outfielders Alex Gordon and Jason Heyward, who sit comfortably at 110+ in wRC+ and have previously hit way better than that. #s 12, 17 and 18 also don’t play an up-the-middle position. Also, are we seriously going to diss the Kansas City Royals when they just came MadBum short of a World Series win? Is that what we’re doing here? Kansas City *just proved* a team of all fielders and mediocre/bad offense can actually work. Their run prevention was a key reason they very nearly won it all. Those players have high UZRs because teams aren’t putting defensive players at those positions and never have. Take Lorenzo Cain and move him to RF. His UZR will be better than his CF. Do you move him to take advantage of the net plus UZR? Did you forget the Royal’s regular season where they barely squeaked out enough runs to even make it into the 1 game playoff? Royals had a better ERA and UZR last year and didn’t make the playoffs. Headley, who has had < .750 OPS 6 of the last 8 years, is what you call a good/great hitter? Sandoval has a career .345 OBP but his OBP is "nothing to write home about"? I think this is why the guy is calling hater. You're ignoring the numbers you want to ignore, while citing the ones that support your claim. Numbers *don't* lie. If Headly and Donaldson are "both above average to good/great" than Panda is good/great, period, because he is clearly superior to both of them, WHILE playing half his games in one of the worst hitters parks in baseball. Panda can flat-out rake, and his defense at 3B is more than enough to keep him there for a few years (though I would agree he's not the best fielder at 3B, but the point the other guy was trying to make is that's historically a position where you would normally sacrifice some defense for hitting). You want strong defense up the middle, and you sacrifice it in the corners for better hitting. That's just sound strategy. Not everyone can get both at all positions, or every team would have 4 Troy Tulo's in the infield. As to his defense, a look at dWAR for qualified NL 3B puts him 5th, basically even with Todd Frazier, and behind Arenado, Rendon and Wright. Which sounds about right, to me. And all 4 of the guys ahead of him can hit, too, so what you’re looking at is a top-5 defensive player in the league at a weak position, who can hit. .344/.389/.545/.935 career in 39 games. Guy is going to get paid, for sure. What are we arguing about here? I didn’t say Sandoval was worse than Donaldson or Headley..? I do believe he’s worse than Donaldson, but that’s not a slight. I think he’s about even with Headley, maybe a tad ahead. He’s going to get paid. He deserves to get paid. I’ve never said anything to the contrary. Donaldson plays in Oakland and his entire career is in a more depressed offensive era. Headley is an above average hitter. Petco. Park. Headley, career: 114 wRC+. Sandoval, career: 121 wRC+. Donaldson, career: 127 wRC+. You’re right. Numbers do not lie. I’m not ignoring anything. If anything, I’m considering everything. You twisted my words. I said both were above average to good/great. Donaldson is good/great. Headley is above average. Those were my words. All three play half their games in horrendous hitters ballparks, with Headley in the worst, then Sandoval, then Donaldson. No, I don’t want “strong defense up the middle” and then to “sacrifice it in the corners.” I want the absolute best overall player at each position I can manage within my budget. I don’t want to ever sacrifice everything. Settling for a lesser player is a poor decision and it’s how a team develops holes. Also, can you please quote where I said Sandoval’s .345 OBP was nothing to look home about? I just looked through this comment section, starting with these specific replies, and can’t find it. Quite a bad example to use the Royals, don’t you think? They made it to game 7 of the WS and if not for Bumgarner would have most likely won. How quickly we forget the Royals barely squeaked into the playoffs. Did we forget how they can’t get on base and score runs? Look, defense is great and all and in a condensed season is magnified. Over a 162 game season, you’re not likely to score enough runs to make it into the post season. Royals had a better UZR last year and didn’t make the playoffs. Why? Because they didn’t get on base and score runs. Whether they squeaked in or not is irrelevant to their success in the postseason. They provided a possible new model for teams to use. Their success is not just because of their defense and base stealing, it was also their timely hitting. They seized the offensive opportunities they had and then played great defense behind a shut down bullpen. I’m not only discussing their post season success because that’s only half the battle. Do you believe a team with great defense that doesn’t hit home runs or get on base can get to the playoffs consistently? Depends, how are they with RISP? Hypothetically a team with zero homeruns all season but hits well with RISP can still be a good team if they can limit opposing runs with good defense and pitching. Baseball isn’t all about homeruns. How much of Donaldson’s “incredible range” is influenced by the ridiculous amount of foul ground at his home park? I understand UZR is park-adjusted, but that seems like something difficult to account for. No, not really. We have decades worth of foul-ball data for the Oakland Coliseum with which to make the proper adjustments. He gets to a lot more balls than he would be expected to, even given that his home park generates a ton of foulouts. Crawford can’t cover the foul line no matter how solid he is out there. I didn’t insist Crawford could cover the line. Sandoval does that just fine. It’s the area inbetween crawford and sandoval that crawford covers well. I’d rather use FLD% than dWAR. At least fielding percentage tells us something. It’s only a component of defense, which is why it isn’t a good stat, but I largely find TotalZone, which is the basis for b-ref’s dWAR, completely and utterly useless. BBref uses DRS, as of at least a couple years ago. Thanks! Now that you mention it, I remember seeing something about that. I guess that’s how long I’ve stopped using b-ref’s defensive stats, lol. I wasn’t even aware, since I can already find both UZR and DRS at fangraphs. Fielding percentage is only part of the equation. Donaldson makes a lot of throwing errors, which is obviously problematic since he’s getting to the balls and messing up the simpler part, but he also does have very good range. Headley and Frazier, I would imagine although I haven’t seen a ton of either, probably have better range than Panda. From what I’ve seen of Sandoval, when he gets to the ball he’s very good. Only headley had a better fielding percentage by .004 and played in 200 less innings. Amen. Despite injuries and time lost, nobody else comes close where it comes to pure talent, skill and execution. He is a wonder to behold. Kyle Seager and Chase Headley. Edit And Donaldson as WhoKilled said. Its between Headley or Donaldson, Seager a distant third. As a Padre fan, I would take Nolan Arenado defensively over Chase Headley. Headley is a good 3b, but guys like Arenado and Machado are a lot more special. On that same note, I get surprised on how good and athletic Sandoval is about 6 series a year. Such a unique package. I believe I mentioned Arenado early on. That guy is wicked good. I watched the guy all season long. how many of his near 1300 innings did you watch? On top of it he turned 27 Double Plays. find me a hand full of 3rd baseman who turned more double plays. You are aware the ball has to be hit to him, something he has no control over whatsoever, to make the double play? and he has to pick it up, possibly on the run, and make an accurate throw. You realize that’s what 3B are for? You won’t see Lorenzo Cain at 3B because range is much more important for a CF. You are absolutely right. As has been said earlier, 3B is not a range or defensive position. Next thing you know people will be comparing UZR of first basemen. The eye test is a really bad way to determine defensive value because a player like Sandoval can make a routine play look “more difficult” by virtue of his below average range. For example Sandoval might have to dive to make the same play that Headley/Donaldson/Seager/Rendon can make look routine. Does UZR account for defensive shifts? Defensive shifts are being used more widely in the past. The eye test can also show you, “damn, how the hell did he get to that ball” – if a dive was the end result, that hardly takes anything away. Not buying Sandoval having below average range in the least. Dude moves like a much slender cat. He doesn’t have below average range though. Over the last three years, the “range” component of his UZR scores have been 1.4, -1.6, 1.2. Essentially rounding errors. He has average range. None, because I am not a Giants fan, but as a non Giants fan, I can look at it from the outside and by the numbers he isn’t very good. By the way Double plays feeded by the 3B is probably the most useless stat to determine if he is a good fielder or not. So they played him 3 steps on the grass the entire NLCS because he’s so bad at fielding bunts because he’s nimble? That’s called field positioning. I’m pretty sure the Giants were excellent at that all season long. It was even more so evident in the playoffs. Funny, UZR has a component for double plays too. Sandoval rated exactly average. Look at the metrics and the Giants don’t come close to making the World Series, let alone win it. Look at the metrics and the Dodgers are in the World Series. You can’t determine the value or worth of a player to a team via statistics alone. Sandoval brings a ton of intangibles to a team which Sabean has proved to be pretty adept at seeing. Sign the Panda. I wondered how long it would take for the “intangibles” line to crop up. Individual metrics are never supposed to be able to be multiplied together to give a team result, its not possible, but they can give a non-subjective assessment of a player a million times more reliable than “intangibles” ever could. That’s Scutaro* and Rowand*. Scutaro was an NLCS MVP in 2012 and hit nearly .400 down the stretch. Yea, I’d say that was a genius signing. The trade for Scutaro is widely regarded as being the reason the Giants made it to the PS in 2012. Now, if you’re talking about the contract he negotiated after the WS, that’s an entirely different conversation. eeeggggfrickenxactly, don’t let the numbers/stats fool you. Just a bunch of hoopla. Since you know, in baseball, east coast biased saturates the air as they’re all sleeping by the time the west coast teams play. So all they have to do is just look at STATS to justify a player/team. How many do the Giants need to win in order to wake the baseball nation up and realize that there’s a Beast on the other side of the nation? since they voted on the GG before the playoffs, I don’t see how the last out of the WS could matter. And, actually, he wasn’t that great offensively, except in the post-season. I know the BBWAA votes before the postseason but do they do the same for the GG’s which are not selected by the BBWAA? The “finalists” were announced Oct 23, 2014 well after the postseason got underway. Yes, the managers vote on GG before the end of the season. The statistical component obviously isn’t incorporated until the end of the season. The “finalist” thing is for media purposes only. I’d say he hit well through out the playoffs, but looking at the numbers, his batting wasn’t all that amazing either. Doesn’t walk a lot, OBP and OPS weren’t even in the top 40. With a UZR of 3.5? His UZR was 19.3 in 2011 and he didnt win it then either. As i said, average defender by any metric you want to use. UZR is a nice stat, but it’s still in its infancy. So, I consider it secondary to actually watching a player. It’s twelve years old. How long does a stat have to be around to not be in its infancy? I haven’t watched all 1300+ innings of every third baseman in the league, so I don’t trust my eye test to be completely accurate. I trust DRS or UZR more than my eye test for any one player. Does UZR account for players’ shading toward one side more than others in a zone in a defensive shift? So, no, it doesn’t handle them well. Ah, the eye test, possibly the weakest and least reliable way anyone can evaluate a player with all the statistics available now. Anyone can make a great play, even terrible defenders. The numbers, over so many innings and years, dont lie. I love UZR, DRS and Inside Edge, but I think saying “the numbers don’t lie” is a little overboard. Even over large samples, the different systems can show wildly different results and none of them has a perfect answer on defensive shifts or team positioning. We’re a lot less in the dark than we used to be, but the numbers shouldn’t be taken as unquestioned gospel. At least we’ve moved on from the almost useless Fielding Percentage, where Delmon Young and his .1000 for the entirety of 2014 say hi. Winning the Gold Glove means nothing. However, I do think Sandoval is an above average fielder. Not a star in the field, but good. Agreed. But you won’t win a GG by being average. It doesn’t mean you’re the best. Offense usually plays a role. You can win a Gold Glove by being average. Just among this year’s finalists, see Upton, Justin and LaRoche, Adam. Both are finalists this year. Derek Jeter is the prime example, and that horse has been beaten to death. It may be a decade and a half old, but there’s a reason everyone cites Rafael Palmeiro. He did only play less than thirty games at first base that year. I wouldn’t call Adam LaRoche average. He is easliy top 5 in the NL at 1st. I didn’t see much of Upton this year but in years past he was above average. At least from what I saw from him in Arizona. I think Sandoval is a very good 3rd baseman. Nobody here wants to give him that because they base everything on UZR. I have a hard time saying someone who has better range but commits 30 errors is a more superior 3rd baseman. Pablo has a great arm and his range is good despite his size. A few points here: I have never once argued to you in this comment thread that Donaldson is a superior third baseman. However, committing 23 errors is a lot different than 30. It might be situational, but Donaldson has a lot more opportunities to showcase his range. He is excellent at tracking down balls and catching them. His issues are entirely linked to poor throws. I also don’t really think how Sandoval’s range is for his size matters because his range is measured against every player, not just ones of his body type. He is fine at maximizing his abilities, but some people are just naturally less talented than others. I have watched a good amount of LaRoche and Upton as an NLE fan and also just an Upton fan and wholeheartedly disagree and find both average at best out there. Good points made. Like I said, I don’t watch a lot of the East. But I thought LaRoche has had a good reputation for being good defensively. The “30 errors” was being extreme. But I was trying to make the point that you made about Donaldson. I think Sandoval is extremely sure handed with what he can get to. I also think his arm strength makes up for how quickly (or slowly) he gets to a ball. Overall, the point I was making about Sandoval is that Defense isn’t a weakness for him, in fact its a strength for him while arguing his worth in a contract. I think he is a very good all around player. I also think he’s worth about 13 mill a year. But we both know that he will get 7 million more than that. I do think letting him go would be a mistake by the Giants. Again, I agreed with you initially. I do not know why you’re preaching to me about his defense. I never disagreed with you. You’re talking to the wrong person about this and wasting your breath. I’d also even pay Sandoval 15-16 MM per year. I think there in lies the issue with just looking at the numbers. Ask anyone, well maybe expect Verlander and the Tigers, who else would you rather have in the post season? Does Chase Headley rack up 25(?) hits in the post season? Does anyone else get as many “clutch” hits on balls of the strike zone? As a giants fan, I’m scared of a 100mil contract, but the saving grace is mainly a reward for past performance. Easier to spend 100mil when you have three rings on your hand versus spending 100mil with the hope that the player will help bring you a ring(s) in the future. Headley, who knows, hes never had the chance to swing a postseason bat. As for “clutch”, you’d have to believe such a thing even exists and its not just causality. You can guess which camp im in. Oh come on now. I wouldn’t take any Cardinal hitters over him in the postseason. The guy is a career .333 hitting in the NLCS and .426 in the WS. He gets more clutch as the stakes rise. You should know .. He isn’t being a homer. No where did he say Cards players. Let’s not be little and attack other peoples teams. Especially when they don’t even bring them up. Not sure how you can take a guy who set a postseason record with number of hits (in the year he didn’t win WS MVP) and discredit it without being a homer. You don’t know what being a homer is then. Being a homer is calling your player one of the best defensive 3B in the league, based off of FLD% and double plays turned. He didn’t bring up a single player from the Cards. Not a homer at all.
. You’ve got real issues man. You’re taking anger out on me for no apparent reason. He’s not taking his anger out on anyone. You’re overreacting to him and not realizing you’re in the wrong here. You are misunderstanding the meaning of a word and accusing stl_cards16 of being things he’s not. Yeah I come here daily and comment on many articles, Cardinals or not. I’m a baseball fan first. But the Giants won the World Series so there’s going to be an unusual amount of them around for a while that think anyone that has anything negative to say about one of their beloved Giants is just sour grapes. It’s no big deal, I’ve seen hundreds of them come and go. No, what I want to know is how you can say he isn’t a great postseason hitter. The numbers back it up. His ISO was .099 this post-season with a .433 BABIP. He had balls drop in. Having a great post-season =/= a great post-season hitter. Giving a player $100MM because of that is crazy. Sandoval is a good player. When you continue to have a great postseason as a hitter and it continues beyond 1 postseason … i’m inclined to call you a great postseason hitter. Over 3 years in the postseason he’s a .344 hitter with a .389 OBP and a .935 OPS. I’m pretty sure every manager dreams to get that out of their key players in the playoffs. No where did I say the guy should get 100 Million. But the way the market works today, he probably will. he’s a 12 mill a year player IMO. He’s been a great postseason hitter. That doesn’t mean he’s going to continue to be a great postseason hitter. You don’t pay a man 100 MM based on three one month samples. You just don’t do that. Sandoval probably has less than 60 games in his entire career in the playoffs. If you’d like to incorporate those additional statistics into his 2014 season, 2012-2014 stretch, or 2010-2014 stretch, I would agree. But to use them to solely support a huge payday is a recency bias fallacy. David Freese did not continue his great postseason heroics, and Jack Morris couldn’t keep it up in playoffs other than ’91. Where did Jon Lester go this year? Small samples are volatile. A-Rod showed up in ’09 after “disappearing” other years. What happened to Rivera in the ’01 WS? Stuff happens. Players have great short series’ all the time. I wasn’t saying he deserves a huge pay solely because of Postseason play. I was simply arguing with the statement made by stl ” There’s about 50 hitters I’ll take over him in the post-season. Just because a few more bloops dropped in during the playoffs, doesn’t make him any more valuable” It’s very clear he has been valuable in the postseason. Just because he had a few bloops instead of hrs does not matter to me. The guy puts the ball in play and finds success in the process. So does he just not care in the regular season? If he can just lock in and go from being a decent player to being a Hall of Famer whenever he wants, he’s missing out on one heck of a career he could have had. Haha. Like I said “he rises with the occasion”. This day in age a World Series is won in October. It doesn’t matter much to have the best record in the league during the regular season. We are past the days of the pennant race. If the Giants want to play just good enough to make it into the playoffs and then play better in October, who am I to argue with that approach? This day in age players are actively getting payed based on what they have done in the past. This is because there is no way of knowing what they will do in the future. The past is the only thing to base it off of. I think that’s a false assumption. Players are getting paid based on their past results regressed to how well they project to perform going forward. I’m sure as heck not paying Pablo Sandoval in full for his two 5-win seasons in 2009 and 2011. Or, Chase Headley for 2012. You project Sandoval/Headley as what they are currently, and pay them based on that. That’s why I’m in favor of acknowledging Sandoval’s .360~ playoff run, but not in favor of solely looking at a postseason batting average and calling it a day. No doubt that the most recent season has a huge impact on the dollar amount. But you can’t predict what will happen in the future. You have to base the value off of numbers that are already in front of you. Looking analytically at Sandoval’s current value, I see a player projected by Steamer for 3.7 WAR in 2015, a little higher than what he did in 2014. He’s not going to decline most likely in either 2015 or 2016 in true talent, so it’s somewhat safe to project him for about 3.5-4.0 WAR in both seasons. For simplicity, I’ll say 3.8 in 2015 and 3.7 in 2016. A little decline over the remaining years – say, 3.0 WAR in 2017, 2.7 WAR in 2018, 2.3 WAR in 2019 – puts us at 15.5 WAR for his five-year forecast. If you want to dock that a little, that’s fine, but Sandoval before considering anything related to his postseason, is a decent bet for 90 MM in value, and that’s using a conservative 6 MM per win – and absolutely no inflation, which is probably unrealistic – for 15.5 WAR or a more bullish figure for $/WAR on a more regressed WAR output. Either way *using projections and not solely past performance* one can say Sandoval is a good bet to put up 90 MM in free-agent value over the next five years. That’s just what we’ve come to now. Panda is a solid fielder, a solid hitter, stays healthy, and is only 28. He’s in the driver’s seat to get 90 MM, or even 100+ MM if he goes more than 5 years. Do you think the Angels would have given Pujols that conract if he hadnt been incredibly consistent for 10 years? Are we using the 240 MM albatross as an example of smart baseball business? Everyone knew that contract was terrible from the moment he signed it, including basically everyone in baseball except the Angels, and now the Angels even realize it. Giving a declining former superstar ten years in his 30s into 40s at 24 MM AAV is a terrible idea, and one hopefully MLB stops. Cano at least gave Seattle a good return on the first year and appears to be a better investment than Pujols. He also helped to get Seattle back on the map, so to speak. If Pujols had gotten that deal around 2008, when he already had seven years in the big leagues, nobody would’ve questioned it. Pujols was still projected to be a superstar, as he was still in his 20s performing at a high level. Lastly, Pablo Sandoval is no Pujols. Albert Pujols is a first-ballot, no-doubt Hall of Famer among the top-20 hitters of all-time, and even his contract turned out to be an albatross. Miguel Cabrera’s eight-year, 248 MM deal already looks horrendous, and it hasn’t even kicked in yet. Verlander? Need I say more? Josh Hamilton? Alex Rodriguez, part two? CC Sabathia, part two? Ryan Howard? Paying 100+ MM to players over 30 rarely turns out even close to decent. The only good 100+ MM deals have really been Beltran, Holliday, Pujols’ extension with St. Louis, Sabathia’s first deal, Jeter’s deal, Manny’s deal, and A-Rod’s original mega-deal. The rest have all been bad, with the jury still out on Posey, Tulowitzki, and Trout, though early returns look good on those. No, of course I was not using Pujols’ contract as a prototype for good business. I was using an extreme example and outlining why I thought he obtained such a ridiculous salary. It’s hard to rationalize any of these contracts. But, winning the World Series goes a far way in bringing return for an investment. Not much else does. Other than putting up monster numbers which allows the team to sell their product more and more. I hope Sabean agrees with you. 16 mil a year tops. He set a postseason record for hits in a postseason and 2 years prior he won World Series MVP by hitting the cover off the ball. And you come out and say he isn’t a good postseason hitter. What I want to know 1. What playoffs you were watching. 2. Back up your claim that there are 50 players you would take over Pablo in the postseason. You obviously don’t understand. My Italian Beef is ready, I’ll go eat. Hope you get Pablo back, man. Congrats and good luck. You’re right. I don’t get your point. The guy gets it done in the playoffs. Good luck to you too. That’s called maybe being a hater. Anti-Pablo Sandoval *does not equal* being a homer. If he’d said Matt Holliday > Pablo Sandoval in their respective playoff careers so far, that would be being a homer. I’ll take the Cardinals 3B over Sandoval every day of the week. I don’t care that Sandoval had a few extra hits drop in during the post-season. I’m not being a homer, I’d just take the better player over someone that succeeded in a SSS. There are plenty of Giants I’d like to have over Cardinals, just not Sandoval. And, according to the post you are replying to, neither would stl_cards16, one of the more unbiased posters on this website. There is really no true way to say he gets more clutch as the stakes rise. He *has* gotten more clutch, but it’s not as if his true talent changes in the playoffs. Going forward, I expect Pablo Sandoval to be Pablo Sandoval in the regular season and Pablo Sandoval in the playoffs. Whatever I think Pablo Sandoval is, my opinion of him going forward doesn’t magically change when the calendar hits October..
You said that much better than I.
I disagree with that. Do you not take anything from Madison Bumgarner being more dominant in October? Some players rise to the occasion and feed off of the moment and the pressures. There have been great ball players that continuously do not bring it in the postseason. Sandoval was a billion times more disciplined at the plate during the postseason. That alone showed that he became a better hitter . Beltran is another guy who has always turned it on in the playoffs. When players continually become clutch in the postseason, it’s ok to call them cluth in the postseason. At least until they prove otherwise. what postseason were you watching? o_O;;, I pretty sure if not all, most of his hits in the postseason were line drives. He came through in the clutch in crucial times when it mattered most. Remember game 2, 2 out double to tie the game in Washington? Turned the whole series around IMO. Not for nothing, but Sandoval’s actual worth is probably around 90 MM over a 5-year term using projections and $/WAR. It’s not inconceivable someone would give him more than five years – he’s only 28 – or overpay on AAV to secure the likely best third baseman on the market. Offense overall is on the decline, so that he hasn’t OPSed over .800 since 2011 doesn’t matter to me. 118/116/111 wRC+ is pretty good for a three-year stretch where the dude’s been about +5 cumulatively in DEF. A guy who’s put up 7.9 WAR over 1664 PA since 2012 began and is projected for 3.7 WAR per Steamer in 2015 is hardly someone to sneeze at, especially when he’s only 28 so he can get 5- or 6-year deals and not have them go significantly into his decline phase. Metsfan you have been right on the money with this. I think he’s worth 5/90, I think he’ll sign for just north of 5/100. He may get more years offered but less AAV because of age and his body type. I think the Giants will pay just over 100 to get him back. Those larger-than-life players like Sandoval always seem to make people forget how average they are with their personality and fan-favorite…-ability…? But yeah, I think he will get overpaid. He’s widely considered one of the better defensive 3rd basemen in the majors. There are legitimate concerns with his declining hitting numbers and weight issues but it doesn’t matter. 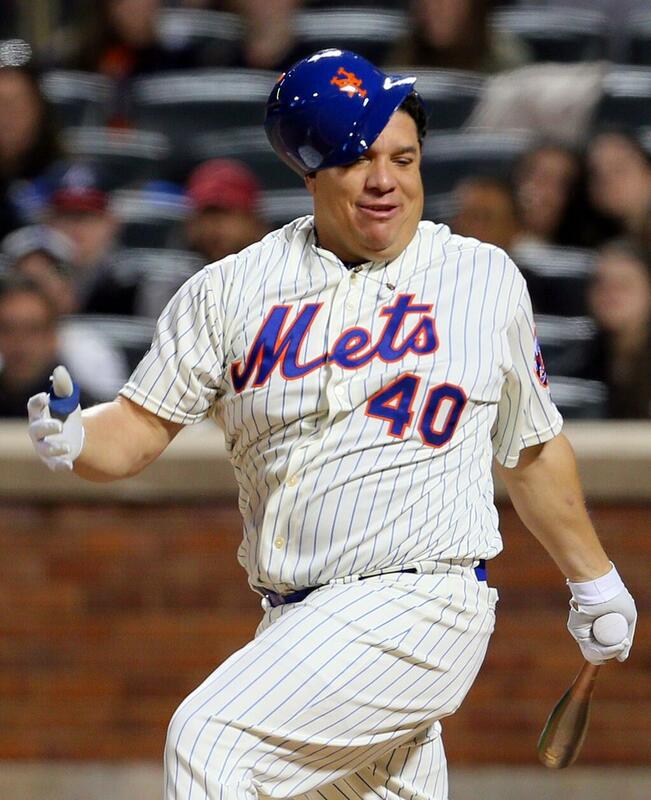 The FA market for position players is really thin this year and he’s the best one available. With the Red Sox in rebuilding mode and looking to spend (not to mention in desperate need of a 3rd baseman) and the Giants under pressure to re-sign a very popular homegrown player, you’re gonna see a bidding war between these two teams that will result in Sandoval getting easily $100M million and probably closer to $120M. He’s not worth that much but it’s a sellers market for bats right now. His agent was smart to turn down that 3/$40M extension the Giants offered back in May because Pablo is going to get PAID, especially after his stellar postseason. I love the Panda. But this contract has winners’ remorse all over it. I predict he’ll get something around McCann’s contract. 5 years 85 million. Yankees aren’t in on him, I doubt the Giants give him $100 million, and the Red Sox are too cheap to pay that much. Detroit and the Dodgers are the only teams that could sign him for 9 figures but I highly doubt they would. But I could see the Dodgers being more interested in Sandoval then Hanley. I can see the Red Sox giving a lot. They have Garin Cecchini tho, they might be too high on him to pay Sandoval to block him. Unless hey have plans on packaging Cecchini and others to get a starter. I think their starting rotation is in a much bigger need than 3B. True but with Sandoval is that after a couple years at 3rd and Ortiz retires Sanoval moves to DH until his contract is over. I feel like Sandoval should go to an AL team it makes perfect sense because of his weight. Just saying. Makes sense but not for $100 million plus. I really don’t see the Sox paying him that much. Plus he doesn’t hit that many homers or have that great of of an OPS to be paid THAT much just to DH. They would be better off trying huim at first if/when Napoli leaves. But he just doesn’t seem to fit the Sox spending strategy. With a 9 figure contract the Sox would be paying Sandoval as much or more to DH then they have with Ortiz and they barely wanted to give him a raise. I can see the Sox have some interest but out of the big spending clubs I think they’ll be the first to leave the table if the price get that high. I think that his numbers can rise if he plays in a hitters park like Fenway Park, to me his numbers with the Giants were not that great because AT&T Park is more of a pitchers park than a hitters but who knows. I’m down for Sandoval to play 3B for a couple years and then DH the rest of his contract and if the Red Sox can’t get him I’ll take my chances with either Headley which might be a bidding war for him or Hanley Ramirez since he use to be in the Red Sox system. The Red Sox youth movement did not go well this season. While it may be premature to abandon the strategy after only 1 year, being the first team to ever go from last in their division to WS winners and back to last in their division in 3 consecutive seasons will be a strong incentive to spend big this off season. I would think the Sox would take it has a long term strategy, I don’t think they were aiming too high even for this season. The entire Lester situation kind of shows that they are in this strategy long term. That could be the Red Sox plans, but I think they’ll want ore offense out of 3B. I doubt they view Cecchini as the future at 3B. Detroit if they lose VMART, but he would be more expensive than VMART. Headley is a better player and with a much lower price tag. That Red Sox are predicted to be very aggressive on Sandoval so don’t be surprise if they go a little over 100 mil. Yes they are cheap but they need a big upgrade at 3rd plus they’re going to go all out on either Lester Shields and Scherzer since their starting Pitching is not that great. Sandoval, Scherzer, Martinez, Shields, Ramirez, Cruz, Martin and Santana are sure to reject the QO. Realistically Cuddyer and Liriano are probably the only players seriously considering accepting the QO. You’re probably right, but I think Cruz and Santana should accept as well. Both are good players but far less attractive with draft picks attached. Cruz hit 40 HR’s at a time when league wide offense is at historically low levels, he will have plenty of multi-year offers this time. He is essentially the same player he was last year but a year older and a higher number of PAs. He had a lot of warts, such as age, defense, consistency, OBP, QO and compensation, that severely limit his market. I’m not sold his market will be much different this time around, though the Orioles might be more willing to retain him than the Rangers which certainly helps. The same guy who was the first to report Castillo to the Red Sox hears Red Sox could be close to signing Pablo for 5/100 don’t know who credible his is but he covers the Sox and was right about Castillo.